Congratulations, BlueChilli's ten Anthill Smart 100 winners! Congratulations, BlueChilli’s ten Anthill Smart 100 winners! 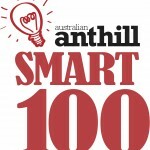 Blog / Congratulations, BlueChilli’s ten Anthill Smart 100 winners! This year’s influential Anthill Smart 100 competition has featured a record ten BlueChilli portfolio companies in its list of the hottest 100 startups in Australia.